tips and tricks that I've learned through my experiences over the past several years. will want to win for this upcoming holiday season! Three amazing prizes, three lucky winners, come on! Be sure you enter! and you can do whatever you want to do, but it's really not true. bought from CVS, that's really not cool, right? picks up a box of chocolates and calls it good - nope not cool. So, have rules, whatever they may be and stick with them. 2. It's ok to tweak and change from year to year. several other things over the years as I've figured out what I liked and didn't like. and pick up our half dozen from everyone. However, as I added guests each year, it got to be unruly trying to manage all the loose cookies. and then leave one dozen loose for taste testing so we can vote. It has made transporting cookies to and from the party so much easier! 3. Take lots and lots of pictures. I was so excited to have great options to share and remember the evening. 4. Serve savory food, skip the sweets, and remind guests to come hungry. 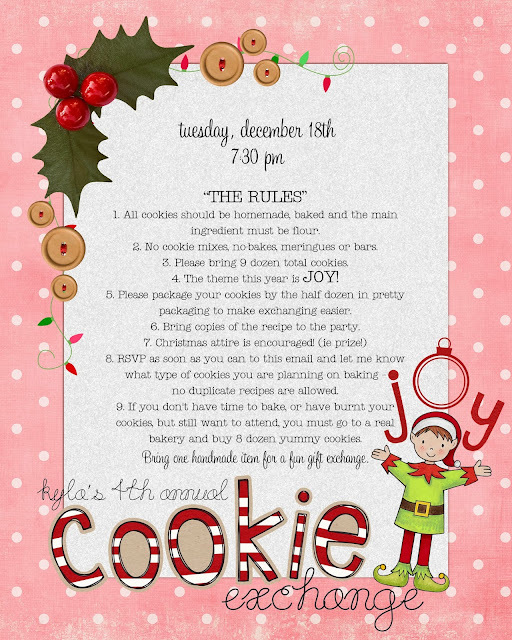 and keep it simple, because everyone will get pretty full just taste testing the cookies. 5. Make label cards for the cookies. I have the guests name their cookies in advance and I make place cards for each cookie. cookie the tasted when they were ready to vote. This way it's easy to write down the name of your favorite cookie when it's voting time. It's always more motivating to do something if you know you might win something for your efforts. So, if you're going to take the time to vote, then award the winners with something fun. which only goes to the person that wins in the Fan Favorite category. 7. 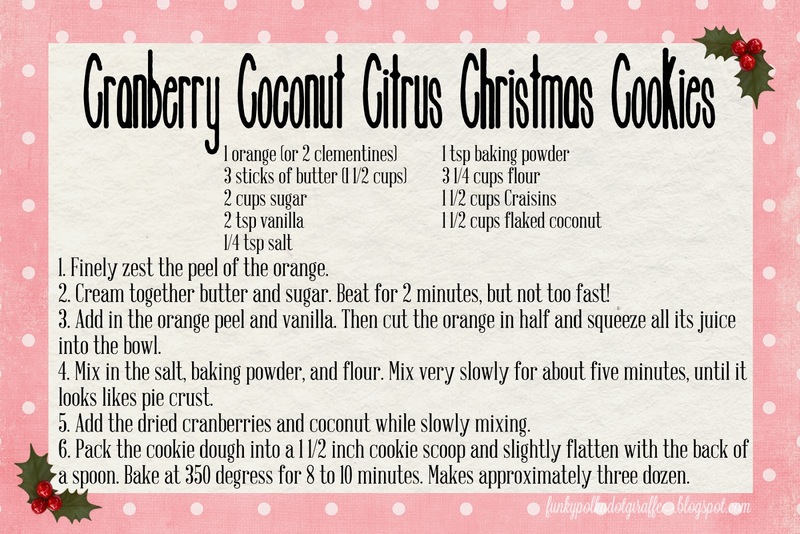 Choose your cookie recipe carefully! I thought I would rolling out and cooking cutting14 dozen cookies. So, keep it simple. Choose a great drop cookie that's easy to prepare and keeps well. These will not be served warm or be refrigerated, so keep the in mind too. 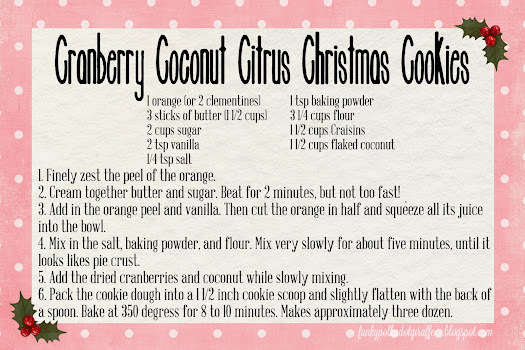 My 2012 cookie recipe - Cranberry Coconut Citrus Christmas Cookies. So yummy! 8. Give a little gift to your guests. I started this tradition in 2011 and I loved it so much, I kept it going. Santa Belly ornaments. It's so much fun! 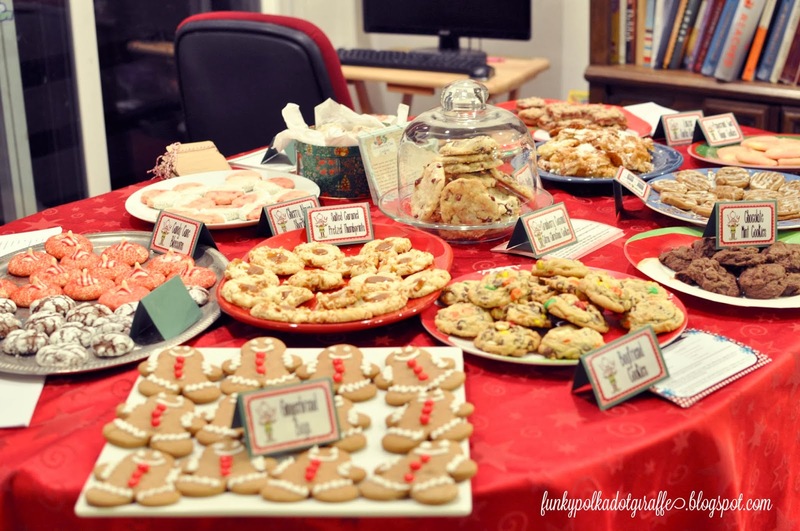 I hope these tips help you host your own successful cookie exchanges. I'm in the midst of planning my 2013 party and it's so fun! Now, time for the EPIC GIVEAWAY I promised you! that will have THREE LUCKY WINNERS! the very bottom of the post. The “Comforts of Home" giveaway begins Monday Dec 2 and ends at 12:00 AM on Monday, December 9, 2013. I'd most like to see the stand mixer under my tree. I would really like to see the kitchen aid mixer under my tree this year. I would really love to see the Kitchen aid stand mixer under my christmas tree this year. I don't celebrate Christmas, but I'd LOVE to win a mixer!!! I want a new sewing machine!! 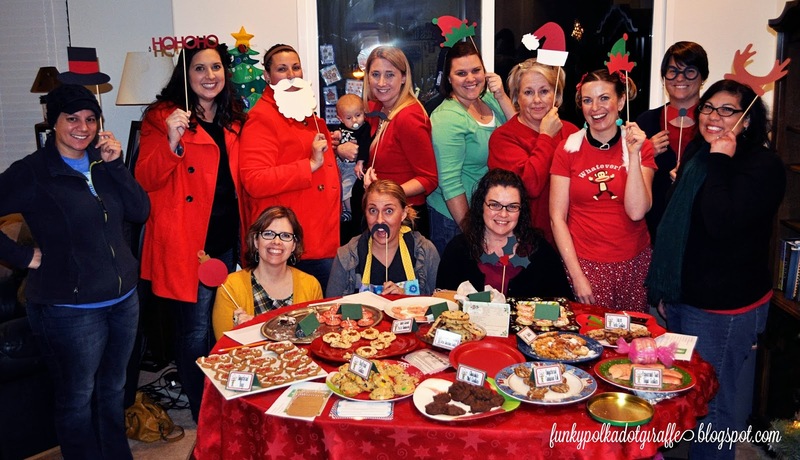 I want to join your cookie exchange. It looks like fun! I want to see a Bloc Loc ruler. Very creative ideas....love the label cards! Thanks for the yummy recipe & a chance for the giveaway! Very creative ideas...love the label cards. Thank you for the yummy recipe and a chance for a giveaway! Cookie exchanges are so fun! Thanks for the tips. A new MacBook Pro. I know it ain't happening, but a girl can dream, right?? 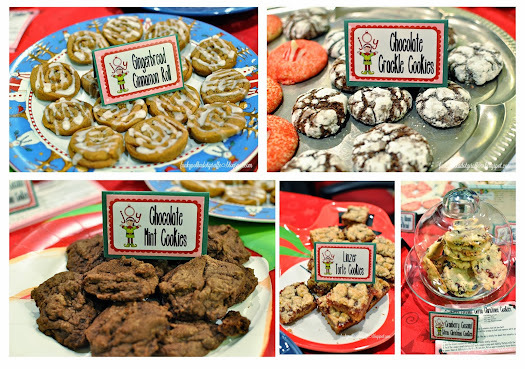 LOVE cookie exchanges! Can't wait to try your recipe - sounds yummy!! What a great contest! The one thing I'd most like to see under my tree (sorta) is to have both of my children find their one true love! Cheesy, I know, but they both deserve someone very special in their lives. The KitchenAid would be amazing! Mmm how I would love to find a new DSLR under my tree. :) Great post by the way with lots of great information. Definitely pinning it in case I need it. A tilt head stand mixer! 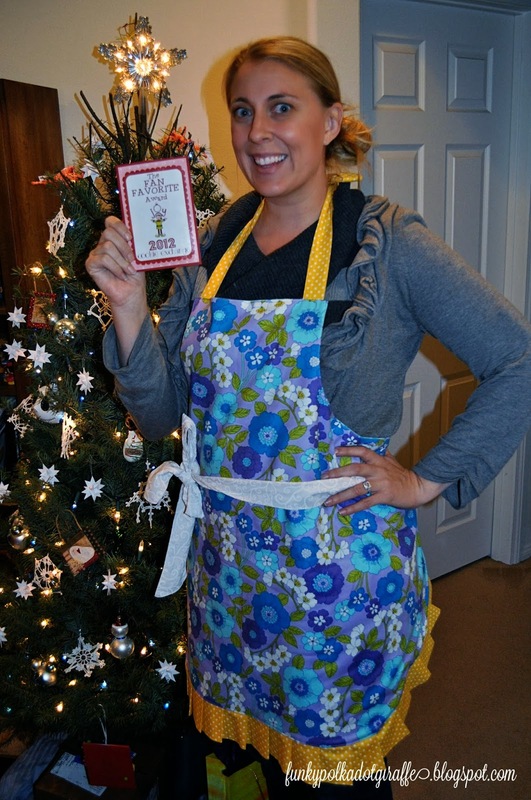 A Tilt head stand mixer would be nice under the tree this year! A tilt head stand mixer would be nice to have under the tree! I think I entered! I would most like the kindle for homeschool or the mixer, mine hops all over the counter when I use it now! I'd love to see a kindle under my tree. I always enjoy your cookie party. 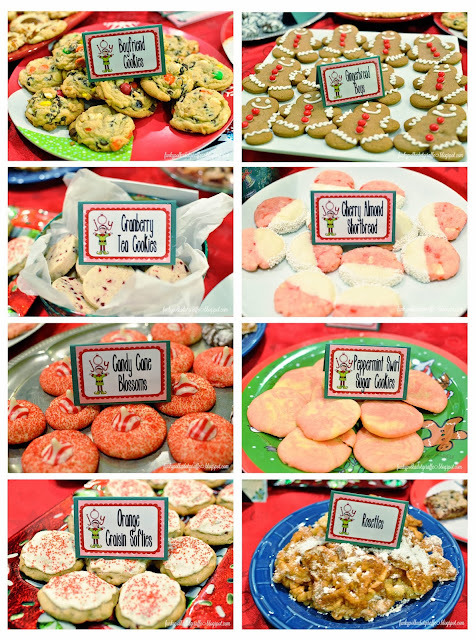 I love the different varieties everyone brings and I'm always surprised by the cookies I do like. 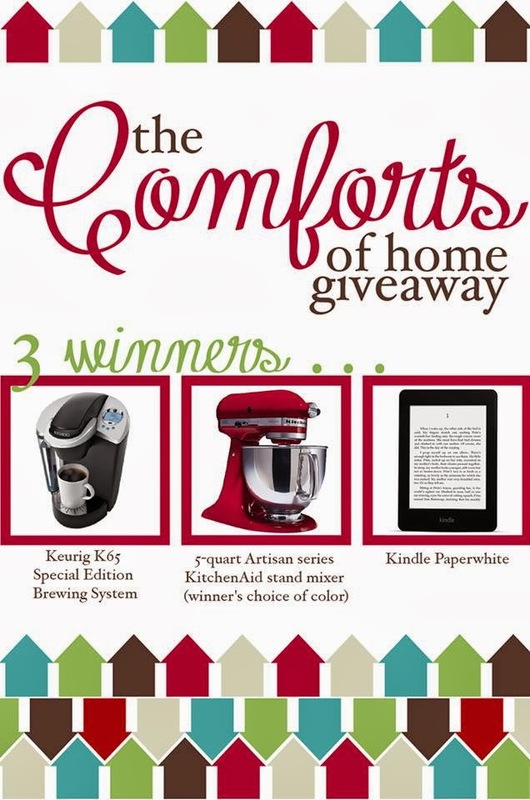 I would love to be the lucky winner of a new kitchen aid mixer!